No-fuss travelers will find great value in this low-key, three-star hotel. 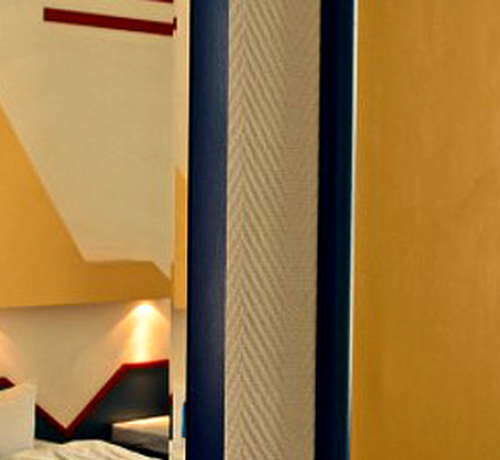 The rooms are all brightened by sunlight and primary-color schemes with prints by Kandinsky, Miró, and Mondrian. There’s free Wi-Fi (and computers with Internet access in every room) and amenities include hair dryers. The restaurant, which serves traditional German dishes, draws locals. The Ku'damm is a 10-minute walk, and the bus to and from Tegel Airport stops on the next block. Room sizes vary based upon category; some are decorated in bright yellows while others in subdued blues. The “comfort” rooms have balconies or kitchenettes. YOU SHOULD KNOW Some rooms allow smoking, so be sure to specify if you want a non-smoking accommodation. Rooms have either showers or bathtubs; three rooms have a Jacuzzi tub. The adjacent lounge has a comfortable sofa, several tables and a large TV. The hotel’s restaurant Voltaire, on the ground floor, is a typical Berlin neighborhood café where locals and hotel guests can mingle over classic German dishes. There’s a street terrace and courtyard seating in warmer months. There is no dedicated bar but you can grab a glass of wine or beer in the Voltaire restaurant. 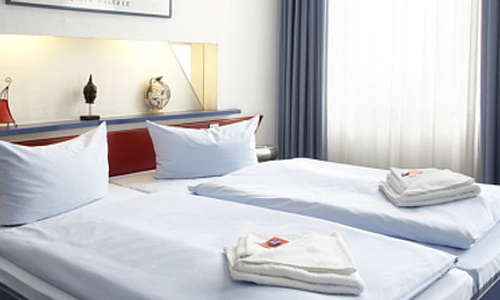 The hotel is located opposite the Charlottenburg railway station and the U-Bahn station Wilmersdorfer Strasse is a three-minute walk. Buses to Tegel and Schoenfeld airports are nearby. Focusing on food from Bavaria and the Alps, Engelbecken (11-minute walk) turns out excellent schnitzel and brats; it has a lovely location facing the park on Lake Lietzensee. Hearty German specialties like pork kidneys, pork knuckle and roast saddle of lamb—served in big portions—are what you’ll find at the meat-centric Marjellchen (20-minute walk). Some 15 draft beers flow from the taps—and another 100 brews are available by the bottle—at Haus der 100 Biere (13-minute walk), a historic Bavarian beer garden that’s been around since 1905. A cozy bar with exposed brickwork and more than 100 cocktails on the menu, Julep’s New York Bar (9-minute walk) also has a good happy hour. This clean budget hotel in great Charlottenburg location has a quiet setting—especially the courtyard-facing rooms—and a solid restaurant. A variety of affordable room choices accommodate everything from single travelers to large groups.